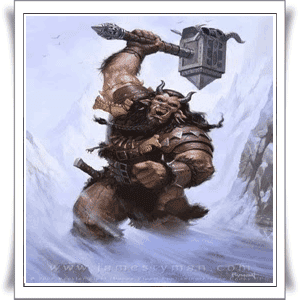 Berserkers are a group of soldiers that can change shape in Norse mythology. They are human, but in a battle featuring almost uncontrolled anger, and can transform into a wolf, bear, and wild bull. It allows people to fight more effectively. Their names will appear on the English word "berserk" which means rampage. Bersekers mean the berserker. Berserkers said to be wearing a fur bears and wolves as they enter combat and can make a full transformation if they feel the need. They are characterized as having red eyes, tremendous strength, and endurance. Various Scandinavian kings used berserkers as part of their army or hired men as royal bodyguards. Similar behavior described in the Iliad, in which the soldiers held by the Lord and given extraordinary powers to demonstrate superhuman abilities. One person can bersekers disrupt the enemy battalion. Great ya?